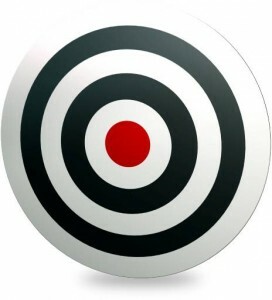 Is Your Website Hitting The Spot? What was the first thing you thought about when designing your website? What about your customers? Did you give any thought to what they actually wanted? You see, everything you do in your business MUST be about your customers and their needs. 1. Do you have what I want? From the first moment they land on your website, they must be able to see you are offering what they want. If your home page just tells them how wonderful you are, they’ll go and find a different website. Everything they read must be about them; how they will benefit from what you’re offering. Writing it in the second person will make it appear personal to them, as though they are the only person in the world that matters. It also builds rapport. To keep them engaged make sure the language you use is simple, chatty and completely focused on them. Getting to know a business through the internet is very difficult. If they were meeting you face to face, they could get a feel for you and work out whether you were trustworthy or not. But because they can’t do that, your website has to do it for you. A professional website with good design and clear, well written content is a start. Add in details of any awards you have won and some customer testimonials and you’re cooking with gas. Another great idea is to add in any press coverage on your news page – they all add credibility. 3. What is it you do? First impressions are everything so make sure the design of your website complements what it is that you do. Make sure your products or services are clearly signposted from the home page so they can easily be found. Plus, even if you have an FAQ page, make sure your full contact details (email, phone and address) are clearly shown so, if needs be, potential customers can talk to you directly. Already mentioned above, it’s essential you make it as easy as possible for people to get in touch with you. There’s nothing worse than going to the contact page only to be faced with a contact form. I’ve lost count of how many of those I’ve filled in only to never get a response. If your email, phone number and address are absent it looks as though you’re trying to hide. Stand up and make yourself contactable. As you can see, your website and pretty much all of your marketing collateral, should be about your customers. They are only interested in what you can do for them, so make sure you tell them – loud and clear.